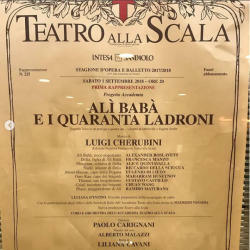 Azerbaijani opera singer, laureate of international competitions Maharram Huseynov (baritone) performed for the first time on the stage of the world famous La Scala theater in Milan. 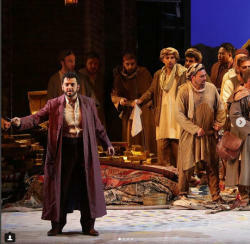 Maharram played the role of the leader of the bandits Abu Hassan in the opera "Ali Baba and the Forty Thieves". The opera was written in the libretto of Eugene Scribe and Anna Honore-Joseph Duveryepo. 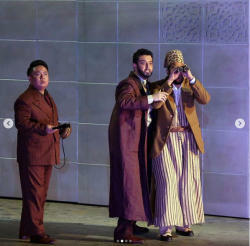 The story is based on the collection of oriental tales "A Thousand and One Nights". 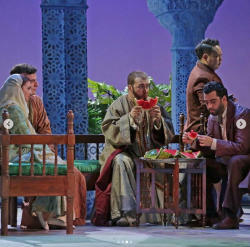 The director of the production is Italian film director and screenwriter Liliana Cavani, conductor-Paolo Cariani. 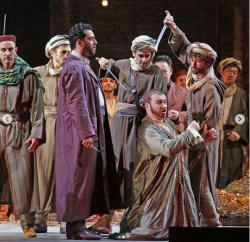 The opera singer said he was happy to make his debut on the legendary stage. "I want to thank all my colleagues Paolo Carignani, Liliana Cavani, Luciana D Intino, Marina Laura Bianchi and everyone who supported me. The public accepted us very well, they liked it very much. I will remember this evening forever! " said Huseynov. 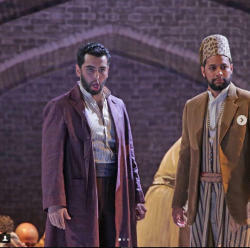 Maharram Huseynov graduated from the music school named after Leonid and Mstislav Rostropovich in Baku and the Musical Academy of Osimo in Italy. He took part in the master classes of Galina Vishnevskaya (Russia) and Tom Kraus (Finland). His name was added to the "Golden Book" of young talents of Azerbaijan in 2011. In 2016, he successfully performed at international festivals in Italy. 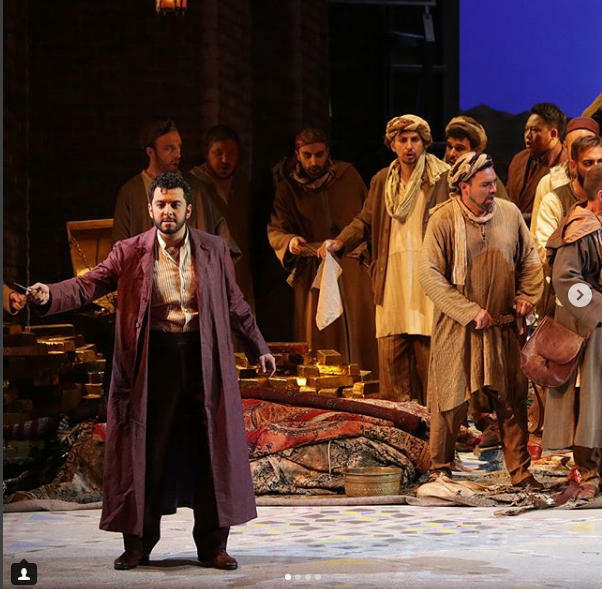 He made his debut on the stage of the Roman Opera House in "Cinderella" opera by Gioacchino Rossini, where he performed the part of Dandini. 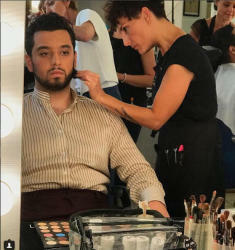 In 2017, he became the youngest soloist, who appeared in the role of Don Juan.